Women’s ‘Mix Sole Platform’ espadrilles with a thick platform jute rope sole from New York-based footwear innovators Soludos. 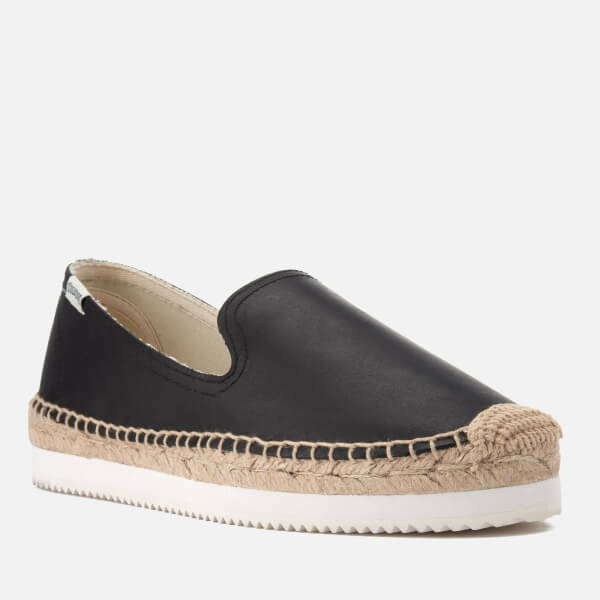 Crafted with a traditional jute braid midsole that cushions underfoot and allows the feet to breathe, the slip-on shoes feature smooth black leather uppers that are twill lined and complete with a thick, white rubber outsole and a woven Soludos brand tab stitched to the heel. Upper: Leather. Sole: Jute Braid Rope/Rubber. 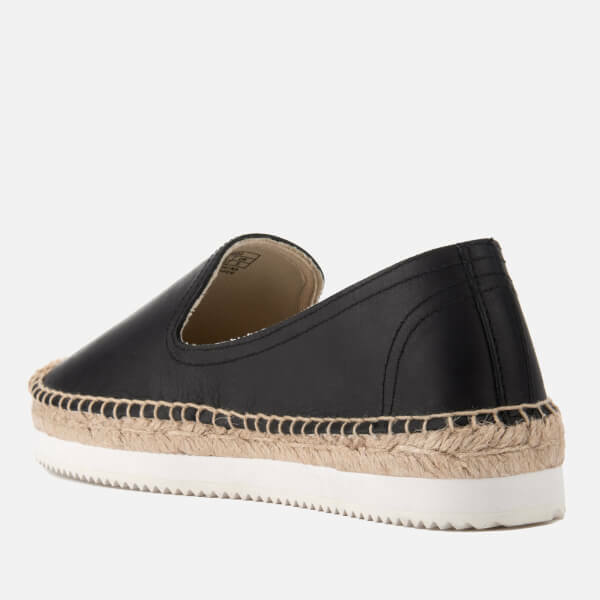 We’d advise you to size up as the espadrilles could feel snug at first, especially around the toes. 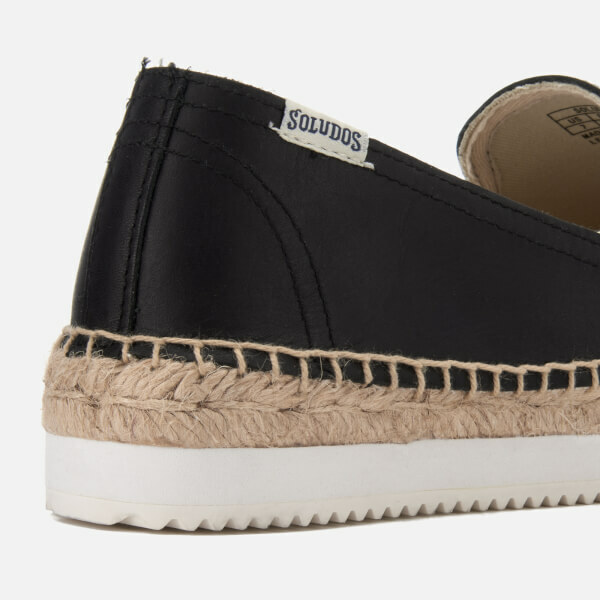 Every Soludos espadrille features traditional blanket stitches that have enough give to mould to your foot. 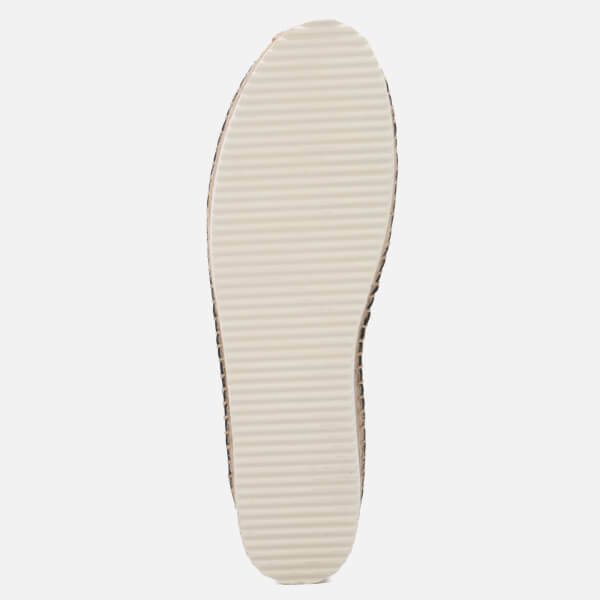 After the first wear, they will stretch for a custom-like fit.